Though most parents know the basics of children’s dental care, Alexandria family dentists continue to see cavities in young children. Caring for your infant’s teeth should begin even before they erupt. To prevent bacteria growth, parents can wash their baby’s gums with a wet washcloth after feedings. Babies should never be put to bed with a bottle, no matter how tempting it is for tired parents. The sugars in milk or juice that stay in contact with teeth for hours can damage the enamel. When your child gets his first tooth, it is time to brush. Parents should use non-fluoride toothpaste until the child is two years old. Then, use only a tiny dab. Young children often swallow toothpaste while brushing. If a child ingests too much fluoride, teeth can become stained. When a child is old enough to brush his own teeth, an adult should go over them after the child finishes to make sure they are clean. Most children thoroughly clean the chewing surfaces, but often fail to clean the backsides and gumline. Consult the child-friendly staff at Mt. Vernon Center for Dentistry about dental sealants. Monitor your child’s meals and snacks. We all know that sugary snacks are not only bad for growing bodies; they are also bad for teeth. Scheduling set times to drink anything other than water during the day can also help prevent cavities. To schedule a dental pediatric consultation, call James D. Geren at 703-360-5881. 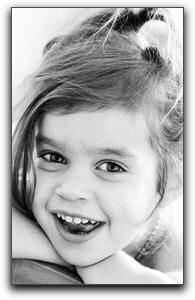 I provide Alexandria area dental care for children and families. I also provide cosmetic dentistry services including Invisalign and porcelain veneers.